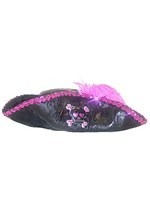 Use this Pirate Pink Sword to cut the fluff away from aristocrats this Halloween! 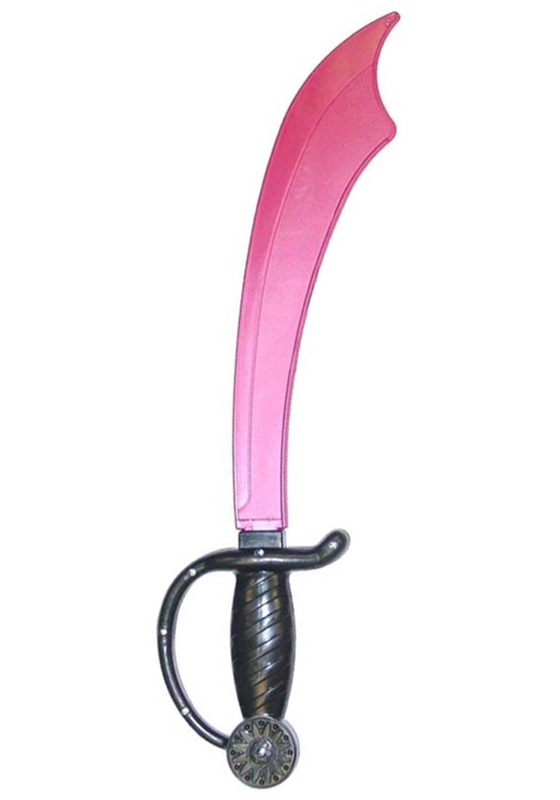 Great with any of our pirate costumes, this toy sword is made from plastic and features a shiny pink blade. 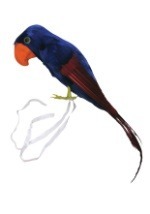 The blade is attached to a black, molded handle and the entire sword measures 17 1/2". 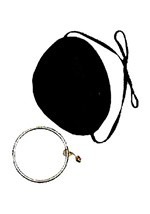 Browse our wide selection of pirate accessories for more perfectly pink pirate items! 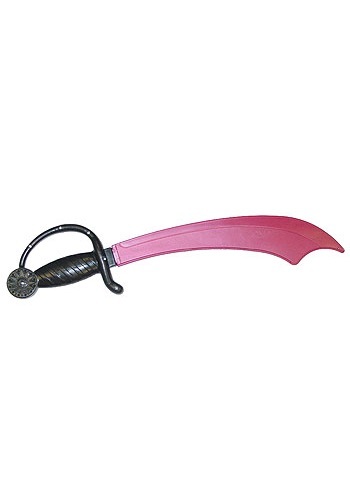 Curved scimitar-shaped pink plastic prop blade.